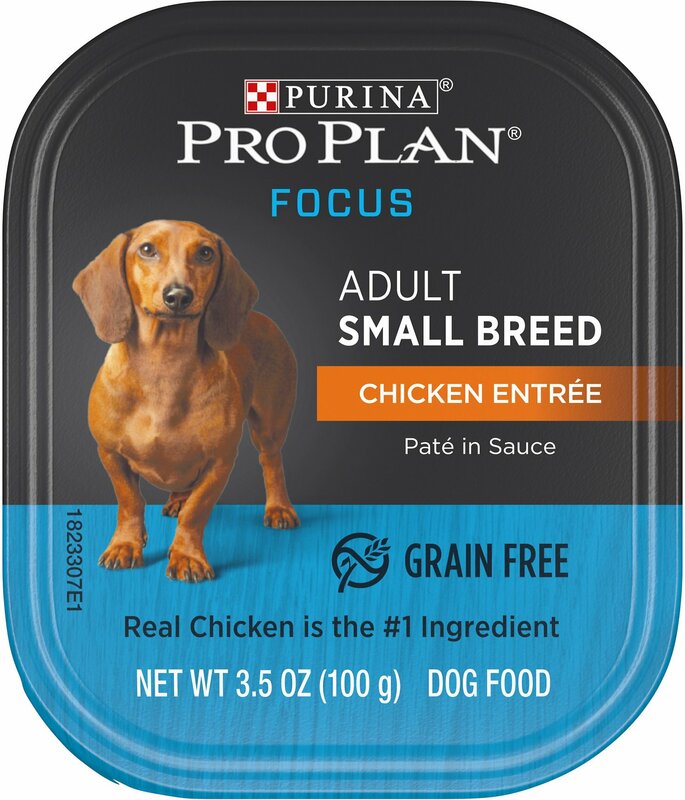 Serve up a bowl of high-quality nutrition and a whole lot of flavor with Purina Pro Plan’s Focus Small Breed Chicken Entrée. This delicious, grain-free recipe has real chicken as the very first ingredient for the high-quality protein your small dog needs to help maintain lean muscle. To ensure your canine companion gets the first-class meal he deserves, it’s 100% free of artificial colors, flavors and preservatives. 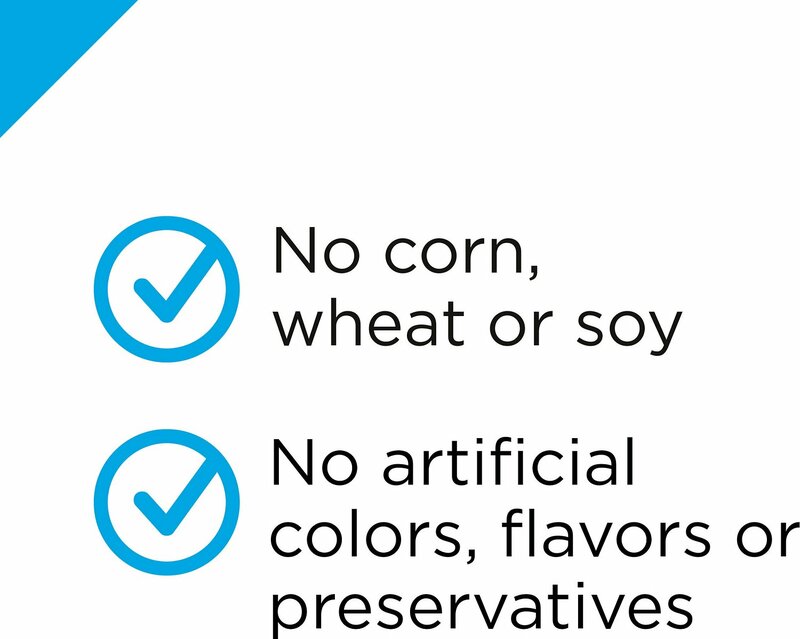 And keeping sensitive pups in mind, you’ll never find any corn, wheat or soy in this ingredient list. Pop open a can and let your favorite furry friend taste the wholesome goodness of Purina Pro Plan as a standalone meal or with his favorite kibble! Crafted with real chicken first to fuel your small dog’s muscles. Nutrient-dense pate contains vitamins and minerals to support your BFF’s overall health and well-being. Specially formulated to provide small breed dogs with the nutrition they need. Made without artificial colors, flavors or preservatives. Chicken, Pork Lungs, Water Sufficient For Processing, Liver, Carrageenan, Essential Nutrients And Other Ingredients: Minerals (Potassium Chloride, Calcium Carbonate, Zinc Sulfate, Ferrous Sulfate, Copper Sulfate, Manganese Sulfate, Potassium Iodide, Sodium Selenite), Locust Bean Gum, Calcium Sulfate, Vitamins (Choline, Vitamin E, Vitamin B-3, Vitamin B-1, Vitamin B-5, Vitamin B-6, Vitamin B-12, Vitamin B-2, Vitamin A, Folic Acid, Vitamin D-3, Vitamin B-7), Guar Gum, Xanthan Gum. A437718. 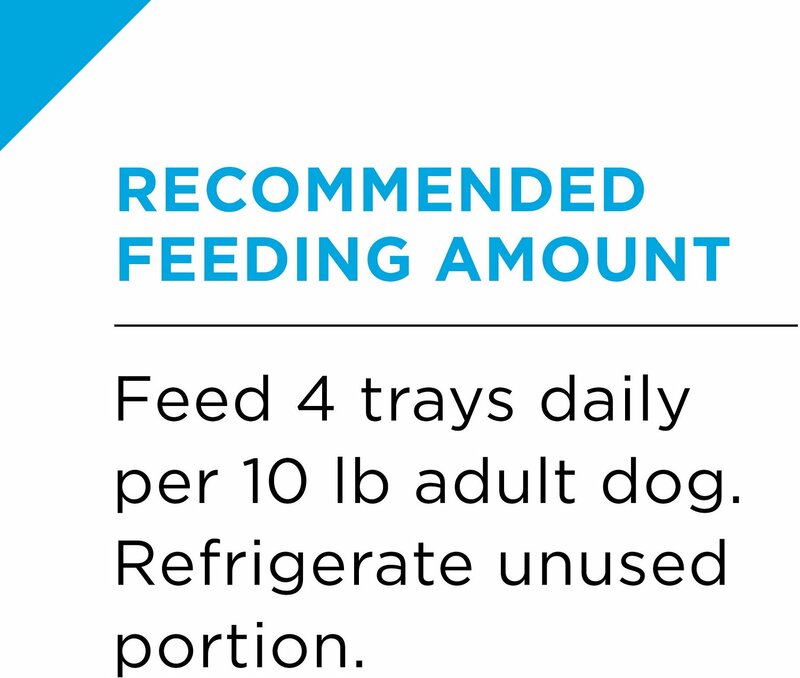 Feed 4 trays daily per 10 lb adult dog. Refrigerate unused portion. 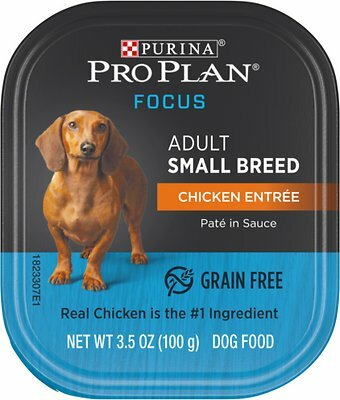 Purina probplan focus small breed chicken grain free wet dog food. This is my review for this food. 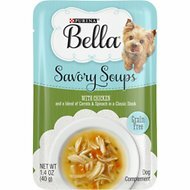 My dog loved this food and we have now switched over to this food. Love that’s its grain free and much better then his other food that we had been giving her. She looks forward to eating this in the morning and at night. Would highly recommend this food to other dog owners. Purina is a great brand and I have been with them for many years. Wonderful food and I bet your dog will love it as much as my dog did! 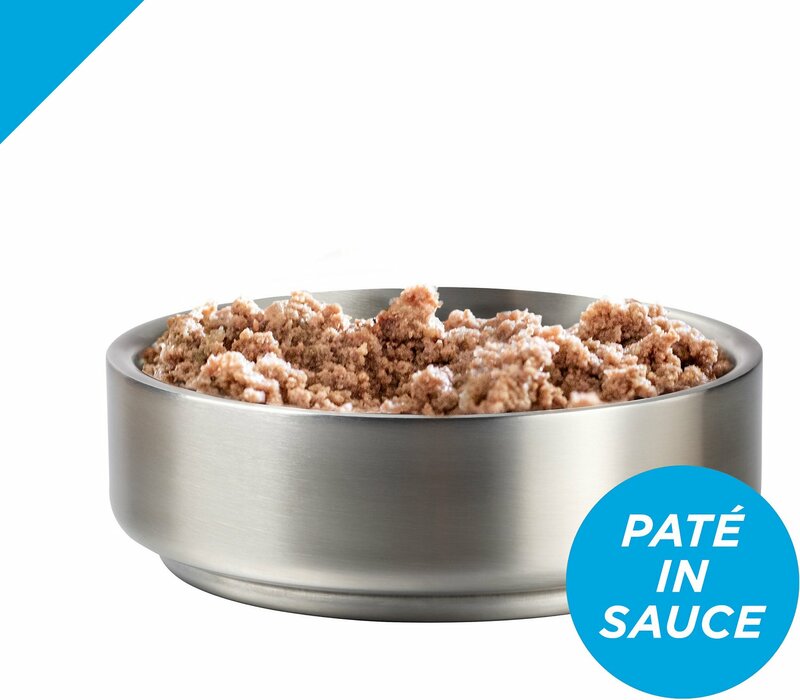 I am a fan of Pro Plan’s dry dog food so I was excited to see this wet food variation. I have a small rescue dog who has stomach issues and sometimes can be temperamental with what he eats. I was pleased to find he ate the whole thing and it didn’t give him stomach issues. I will definitely incorporate this into his daily diet. Received a free sample of this last week.. one of my dogs will eat anything, the other one tends to be really snotty and picky. No surprise the garbage gut ate it, but pleasantly surprised to see the picky eater eat it! I was shocked! I figured it was because she was hungry.. but she kept eating it! My dogs can't speak but lately they smile. They smile because their bellies are satisfie with Purina Pro Plan Focus Small Breed Chicken Entree Grain-Free Wet Dog Food. They dance around when they know their favorite dish is on it's way. Purina is mindful of our pets needs. After receiving a free sample of this dog food, I put it in front of my picky 13 year old chihuahua. Much to my surprise, she gobbled it down! 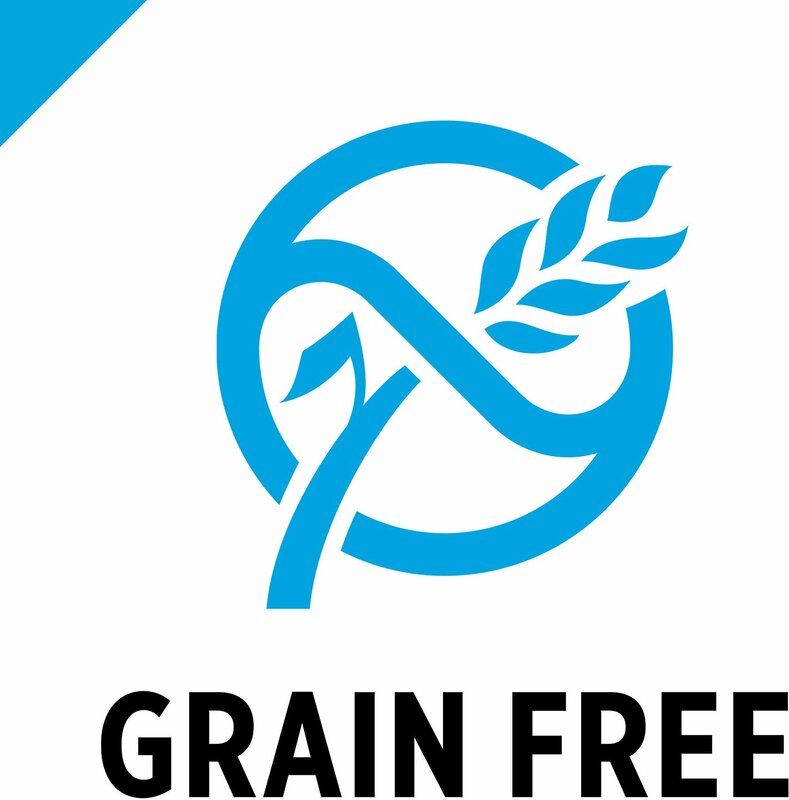 I love that it is grain-free. She loved that it was yummy! Thanks for a great product! I have two small dogs that are very picky eaters and both love this food so much that I've had to purchase it again. I love that it's better for them than the other food they were eating. My dog loved this dog food. 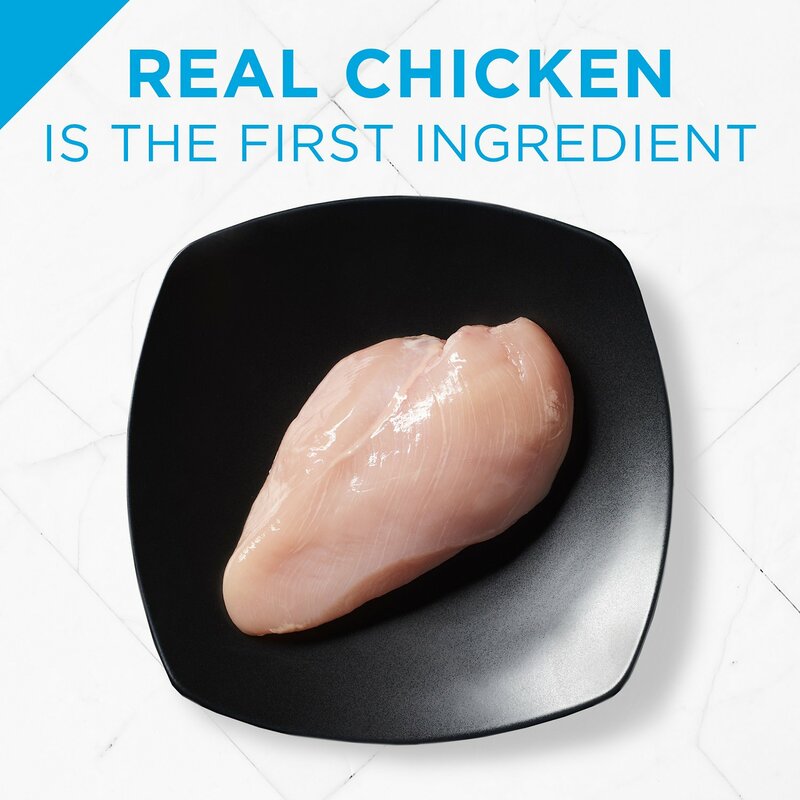 I loved the packaging and the fact that it has real chicken in it. I love it has wholesome ingredients and doesn't have the corn in it. And it's affordable too. I have a very picky Pom and as she gets older she has gotten so picky about her food. I have tried numerous different kinds and she just turns her nose up. But she ate all of this! I have a small picky eater dog. She liked this and was excited when I served it in her bowl. 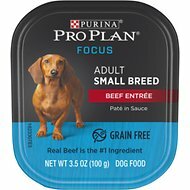 I like that Purina Proplan was for small dogs...bite size for my dog. My dog has to eat grain free everything. This has been a big hit with him! We will definitely continue buying this and recommending this product! !